I hope everyone had a wonderful holiday! Mine is still filled with family, friends, and really cool new toys. 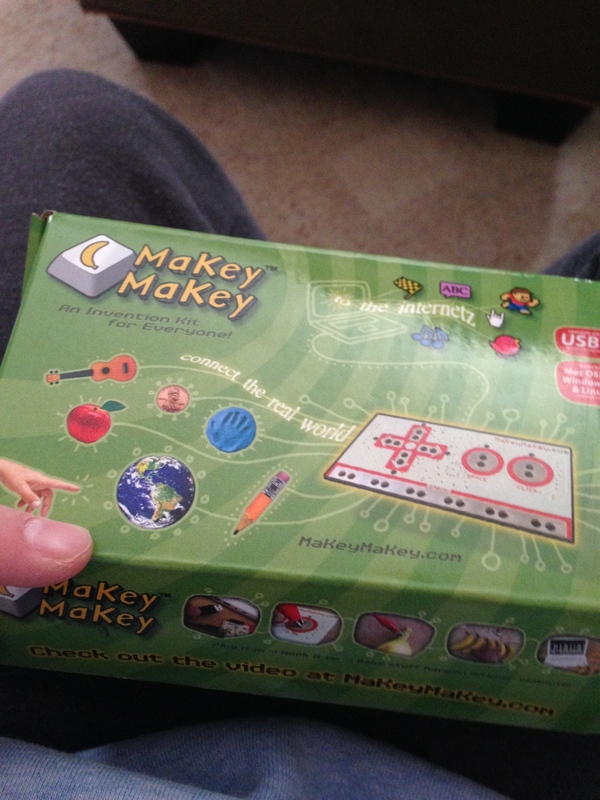 One toy I have been in love with is a Makey Makey set my Sister got me for Christmas. I had been looking at this for a long time but came to the conclusion I would never buy it for myself, she got it for me this Christmas. If you are unfamiliar with Makey Makey visit: www.makeymakey.com . The kit is basically is a circuit board programed to act like a game controller. You hook the circuit board using a USB cable to your computer and it acts like an alternative keyboard. Using alligator clips you connect to the board and then electrical conducting materials to the other end. When the circuit is complete you can use the software Makey Makey has designed on their website to use your new controller with. After playing with this sweet toy my geeky side came out and I began to think..this would be a fantastic demonstration for our District STEM Committee! STEM for those who do not know is a newer educational initiative standing for ScienceTechnologyEngineeringMathematics. ( http://www.stemedcoalition.org ) way of integrating all 4 areas into the classroom to promote critical thinking, problem solving, and encourage career paths into those 4 areas (especially with female students.) We have a district committee based entirely on that initiative and helping educators in our district bring more of it into all of our schools. Now having been in both worlds of STEM and STEAM (I’m a computer nerd, car junkie, with electrical experience who is a musician who likes to craft and create artwork on the side.) I see both sides to this argument. I know from an Arts standpoint promoting creativity and innovation for our future is a must. STEM will only go so far, its the being able to think outside the box and emotional connections that the Arts teaches will create well rounded children who will go out into the world and will make it better. It will promote careers in areas such as Music Technology, Graphic Design, and so many more new career paths that are created every day. On the other side of it, there has been such a drop in students going into careers in the 4 STEM subjects, especially females. When I was in college working at the computer help desk. I got a good look into the computer science department workings (almost switched majors my freshman year!) and the lack of females was scary, there is a need to promote these careers and the systematic and problem solving thinking they teach. To come up with solutions through a step by step process, to promote how to come up with multiple solutions and test each hypothesis until the correct solution is found, to learn how to be able to research the proper ways. It has a purpose, STEM and the Arts promote to each their own. Now for those of you who are reading and thinking I am on the STEM or STEAM side..I’M ON NEITHER..I have researched both and understand both sides. I am an Arts person so if it came down to it I would be with STEAM, but, I know and understand both reasonings and am just typing this to educate and not champion. Like my whip cream piano? I created that using the Makey Makey kit! I had to find a conductor for the piano program, and whip cream was just one experiment. Then I had to make sure I completed the circuit before I experimented to find out how Jingle Bells worked on it. Put my technology skills to work using the program on the website to create the circuit and use the program. Perfect STEM or STEAM project right? There can be so many projects out there that can be STEM projects involving the Arts. This simple project involved all of that. What project could you do in class that could be STEM projects integrating the Arts into it? I’m in full Christmas Spirit swing (probably because it’s Friday and I’ve got my Santa hat on.) I had another post in the works for today but you know what, I can use another week on it and I wanted to give you guys a little holiday fun as a Thank you for reading my weekly ramblings. I have kept this blog for over 2 years now and still am amazed at the stats this produces on a weekly basis when I check in on Fridays. So..Thank you! and Happy Holidays! I thought it would be fun to share (or reshare) some resources I have put together or created over the past few years. Here are some of the top looked at posts/tools! 1.) The Essential Centers Kit: Post Here This has been a highly pinned pin on Pinterest (How many times can I fit the word Pin into a sentence?) I work on centers with my 3rd-5th graders and have a kit put together that goes for any center. 2.) Movement Breaks: Playlist Here Over 50 different dance videos on Youtube that are appropriate for K-5. From a 5 minute end of class dance break to an indoor recess lifesaver for a classroom teacher. This list is constantly updated with new material. 3.) Quaver Webquests: Learn More Here Part 2 I think I’m up to about 26. If you’re an avid Quaver user like myself these are a great smaller activity or homework. 4.) Anatomy of a WebQuest: Post Here This randomly showed up on Pinterest (not my doing) and has been shared a lot recently. I what I think about when writing webquests for any website and how anyone can write a killer quest. 5.) Centers: Post 1 Frosty MIOSM Post 2 I post a lot of center ideas, check out some different ideas for your own classroom. 6.) Music Ed Motivation Day: www.musedmot.webs.com What is a better resource than actual PD that is useful? I created Musedmot as a way of PD for any music educator from anywhere on the globe to get creative, connect, and have an excuse to stay in their jammies alllll day. 7.) Polar Express Mix: Playlist Here Sharing my holiday cheer with a playlist I put together from my favorite book/movie. 8.) Pinterest Page: Board Here Want some Cool Classroom ideas? I have a pretty crazy pinterest page going on. 10:) FB Page: www.facebook.com/celticnovelist updated at least once or twice a week with posts, tips, tricks, and everythign you need to be a techy elementary music educator. Like the title? It’s been a very busy week with my face in my lessons and head constantly focused on the work at hand. You can tell it is getting closer to holiday break! All work and no play make me..well you know. I’ve been organizing and getting my iPads cleaned up and getting ready for Texas in February. Here are some new apps I’ve been using in the classroom. 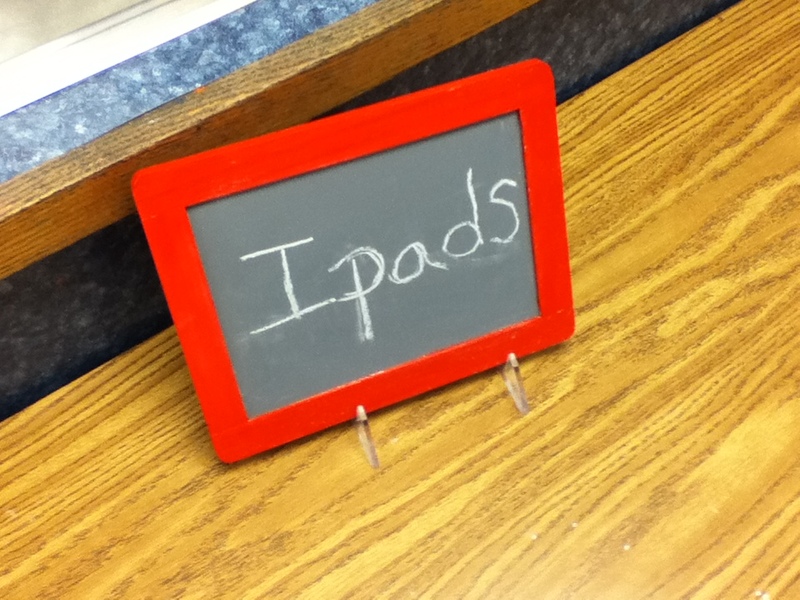 Remember, there is always a way to use an app whether it is a one iPad or class set of iPads classroom. Just remember to stay creative and have fun! Aurasma- Download An app all about augemented reality. You create a target picture and a video or picture that would overlay when the app is on and pointed at the photo. It is actually a really cool experience and turns something as simple as a word wall into an interactive must have. I printed out my dynamic and tempo words I teach students and made videos of myself playing them on the xylophone and overlaid over each photo. Now when a student uses an iPad with Aurasma and points at the target picture, they can see the video play. The best part about this whole app is that the overlay picture is a 3D experience. The students get a kick out of it. Book Creator Free- Download I just started using this app a few weeks ago with some students who do not celebrate holidays. We have a schedule part of each lesson that is dedicated to singing holiday songs a few weeks before our school holiday singalong. During this time I have a few students who work on books about our music room. They take pictures, label instruments and write tips on how to use them. It has been very cool to see them work on these and they have found it easy and are still learning as the rest of the class are singing the holiday songs for our sing a long. Piano Mania- Download Another Joytunes masterpiece. This app dives deeper into beginning piano taking reading music to a new level. Instead of attacking dust pieces with a feather duster they are actually reading notes and rests as they scroll across the screen on the staff. My beginning piano students use this as either a warmup or a cool down during a private lesson. Lately I have caught a few of my students who use iPads as a behavior incentive or just during a free time during the day playing it as well! Keynote- Download I never know where I am going to be some days. I never know if my older computer is going to work. My holiday song lyrics are in powerpoint form so I always keep an extra copy on my iPad in the Keynote app. I can easily play the lyrics off the iPad using the reflector app or an Apple TV. Have any cool new apps to share? Post them in the comments! I’m always looking for more to try out! Call for moderators has gone out! I know it is a little while before we return for our June event but you can never put the word out too early! Visit www.musedmot.webs.com for more information and to sign up! Have you ever just thought to yourself: man, I really am not getting as much out of this professional development as I should be. I wish I could just create my own. 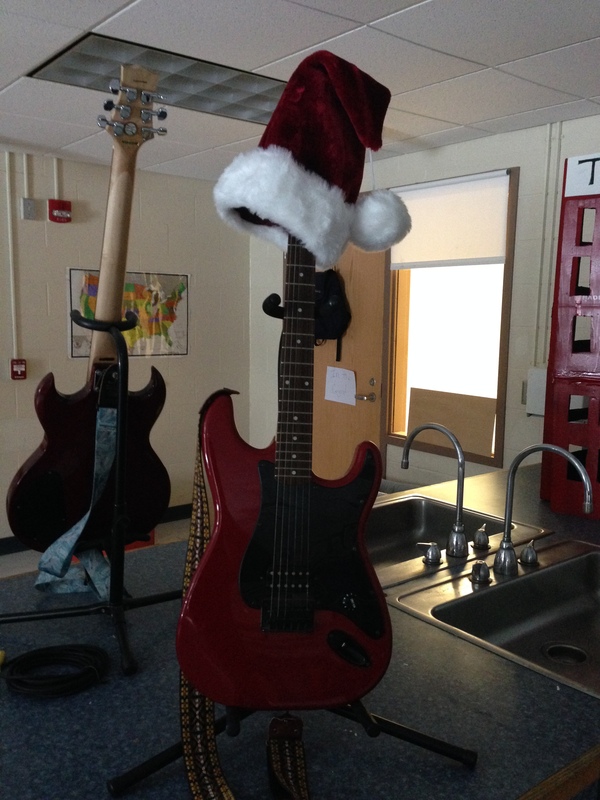 That is how Music Ed Motivation Day came around. I sat down and said to myself I really wish there was a way to create my own PD where I got something out of every second instead of only bits and pieces. When you want something done right you better do it yourself!..right? Using the popular vehicle of social media, this day was created. A day where anyone could be an expert and anyone who wanted to could join in. All you need is a little motivation. Of course we are always going to change and become better with every time. Just like a teacher is ever learning and changing for the better so is musedmot. It is just me behind the scenes, there is not a whole crew. I enlist the help of friends to create this day and A LOT of technology! I have been very grateful for press about this event by many friends and a great mention in an article about myself on page 22 of NAfME’s October issue of Teaching Music Magazine! The word needs to still be spread! Continue telling your friends to join us in June! Have a Twitter account, maybe a Facebook? How about access to Google Plus? We spend time on all 3! Make sure you like our Facebook Page for updates about Musedmot events. Our day begins with a whole bunch of Twitter chats following the hashtag #musedmot. Follow the Musedmot Twitter handle @musedmot for more information. Inbetween these Twitter chats we have occasional breaks for Google Plus Hangouts! Add our page to get more info or friend me if you are planning on attending a hangout at our next event this coming June! Are you a brave soul who would be willing to moderate a chat or even a hangout? I dare you to try! You never know how much fun you will have and how much you will learn until you try it out. Visit our moderator page on our website to submit a topic and your prefered time slot! (All times are Eastern Standard Time) I LOVE to meet new people who are willing to stand up and lead discussions about various Music Education topics! We are already partnered up with Musical Ear for another event and would love to have another company on board! Still not convinced? Try it out, this a come and go as you please event. Come for any topics you like. You do not need to stay the whole day. Many of us do because it becomes just so much fun and we end up walking away from the day motivated to get ready for another year. (Well I pass out on the couch for a few hours afterward but then I get motivated!) Our next big event is June 25th with a new bi monthly #musedmot night Twitter chat starting in August. Visit www.musedmot.webs.com for more information. Anyone with questions, comments, or willingness to lend a hand getting the word out and bringing in moderators please leave a comment, contact me on social media, or email cedwinal@plymouth.edu. I would love to hear from you. I want as many people as possible to get involved and get something out of this and will take any help that is offered! Stay tuned to Musedmot social media and this blog for updates as our June event gets closer.